Astronaut Tom Jones during one of his three spacewalks on Space Shuttle mission STS-98 in February 2001 which activated the U.S. Destiny Laboratory, the historic scientific centerpiece of the International Space Station. Stories have been told for decades about American astronauts who supposedly have seen unexplained aerial phenomena (as Democratic presidential hopeful Hillary Clinton prefers to call UFOs). But how many astronauts have really reported close encounters with objects that could be verified as actual unknowns? Vanishingly few, it turns out. Veteran NASA astronaut Tom Jones said he wondered about UFOs long before he joined the space agency. Astronauts have not seen any evidence of alien life. Reports of unidentified flying objects in images returned from the shuttle or [space] station have turned out to be ice crystals, drifting orbital debris, lightning flashes, or meteors streaking through the dark atmosphere below. So far, our search for extraterrestrial life — and other civilizations in space — has turned up no proof of alien civilizations. Public affairs referred them to me because I was one of the crew members, and I looked at the video and I said, ‘Oh, I know what this is — this is just ice crystals floating along beside the ship for the first couple of days of the flight.’ What looked to some people like a spaceship streaking across the star field, was — to us, looking out the windows — a complete non-event. And yet, it was very significant to people who were watching. Jones flew on four space shuttle missions over 11 years, culminating with STS-98, in February 2001, as seen in the below video. 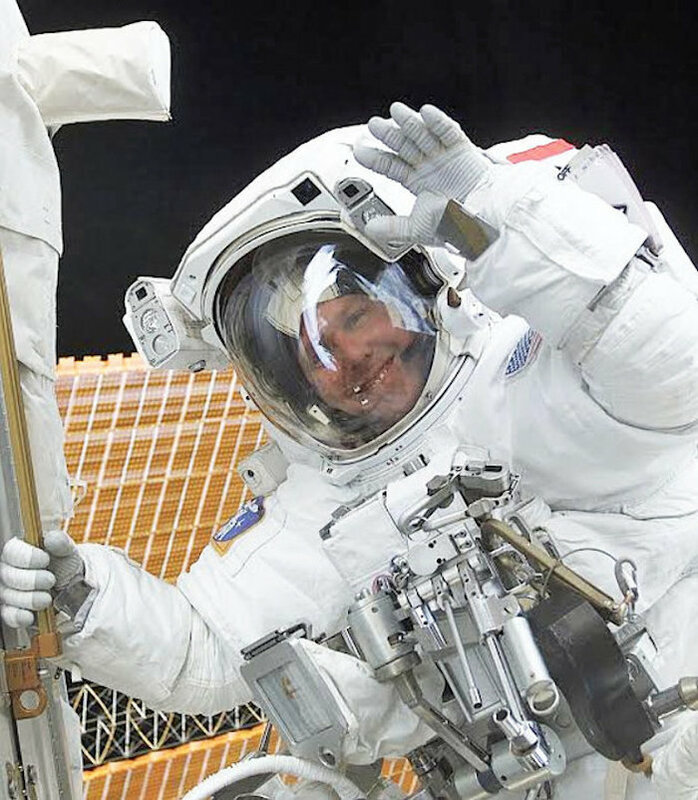 On that mission, he led three spacewalks to install the U.S. Destiny Laboratory — the historic scientific centerpiece for the International Space Station. Jones said no contemporary astronaut has ever told him of seeing something unexplained or inexplicable. “Certainly, nothing in the way of spaceships,” he added. “Now, I’m aware that there have been a couple of astronauts in the past who’ve spoken out and said they know from other people that there’s evidence of UFOs and spaceships that have visited the Earth and that the government might be withholding it. One of those mentioned by Jones was the late Gordon Cooper, an original Mercury astronaut — one of the famous “Right Stuff” space voyagers. In 1975, Cooper told this writer how, in 1951 (before he became an astronaut), he and several other officers at an Air Force base in Germany witnessed groups of circular objects passing over the base. “A weatherman spotted some strange objects flying at fairly high altitude and before long, the entire fighter group was out peering through binoculars at these groups of objects coming over in very strange patterns. But unlike fighters, they would almost stop in their forward velocity and change 90 degrees in their flight path. We never could get close enough to pin them down, but they were round in shape and very metallic-looking. “I’d like to point out that most astronauts are very reluctant to even discuss UFOs due to the great numbers of people who have indiscriminately sold fake stories and forged documents abusing their names and reputations without hesitation,” Cooper said. Jones said it’s important to be cautious about unusual aerial objects. “Even from people that I respect, like a couple of very early and famous astronauts, I haven’t seen the proof that would satisfy me that there’s really something there,” he said. “And I think it’s far more likely that people who see unexplained things in the sky, there’s no proof that they’re actually intelligently guided or alien spaceships of any kind.